I was listening to a Ted Talk about making a difference in the world through your professional life – you know the typical talk about doing things you love and being successful. I paused it and wondered what is it that I do that is valuable, that is atypical for most people. What do I do that is unique to me? Why do people seek me out? They come for many reasons, but when you dissect the discussions they come for advice on how to be successful, to be motivated, how to motivate others, and how to deal with difficult people or situations. It may be in the guise of asking about a procedure or a policy, but in the end it is because they need to be motivated and encouraged to pick the right path. When I first started in the professional world I worked for a large non-profit where everyone seemed to be bitter and depressed. I can remember telling one of the top dogs that they needed a Dr. Feel Good on board, and I could be that person. I saw what my job could be was the person who walked around, listened to employees vent, provided positive feedback, and encouraged staff. The top dog didn’t see the need, so I went back to doing my job and on the side supported many individuals in various departments. Throughout my work career, I have continued to fill that role while still doing my job. A bit like Clark Kent and Superman, only I do not have super powers. What I do have is an understanding of people and how to encourage and motivate. Today, my focus is on turning around careers and companies through positive feedback, motivational stories, and general encouragement that lifts people up and out of the daily professional rut in which they work. I help them define purpose and live a life that is more rewarding. If the average person works 45 years, they spend 180,000 hours working. The fact is many often work more hours, take fewer vacations, and carry work in both head and heart every hour of every day, including when sleeping. Work should be about more than a paycheck, it should make you feel positive about your contribution. Every job, every day, has a purpose outside of the grind. 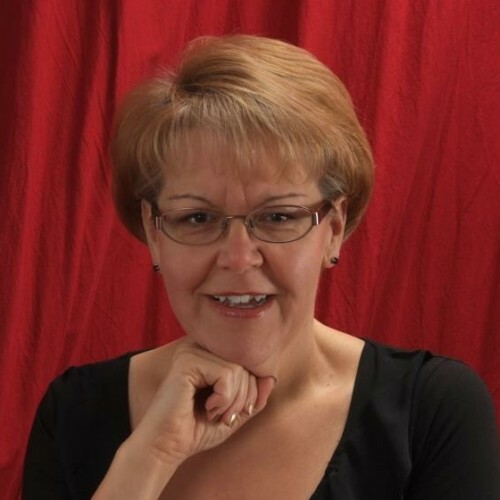 Penny is a natural born storyteller with years of professional experience in non-profit, government, and corporate organizations. This allows her to bring a wide variety of life experiences to the podium. Her experience includes grassroots mobilization, IT project management, executive leadership, and college instruction. Biting the Bullet: Essays on the Courage of Women ----- The outpouring of voices for the 2014 contest encouraged Chatter House Press to launch a second essay contest in 2015 focused on how women define courage. The call for submissions went out, and result is an amazing collection of inspiring stories. Everyday women who thrive because of courage. This collection will not disappoint you. Essays were selected based on the universality of the story and the level of courage demonstrated. There were dozens of remarkable stories, but only eleven made it into the book to represent the doggedness women demonstrate. You will find this collection representing the pluck of women from every angle. How you define courage may change after reading this collection. The contest winners are: First Place - Barbara A Barton; Second Place - Sue Fagalde Lick; Third Place - Yvonne Kariba; Fourth Place—Cheryl Romo and Barbara Ruth; Honorable Mention - Judy Light Ayyildiz, Wendy Bilen, Colleen Lutz Clemens, Kristin Leclaire, Liz Lynch and Ruth Rudner. Find out more about Penny Dunning at http://www.pennydunning.com.